Valve Stem Seals | Arai Seisakusho Co., Ltd. Provide reliable technology and trust. Valve stem seal (VSS) is installed in the valve guide in the engine head. And it is preventing that engine oil supplied in a head flows into a combustion chamber by going through a valve stem and the sliding surface of guide. 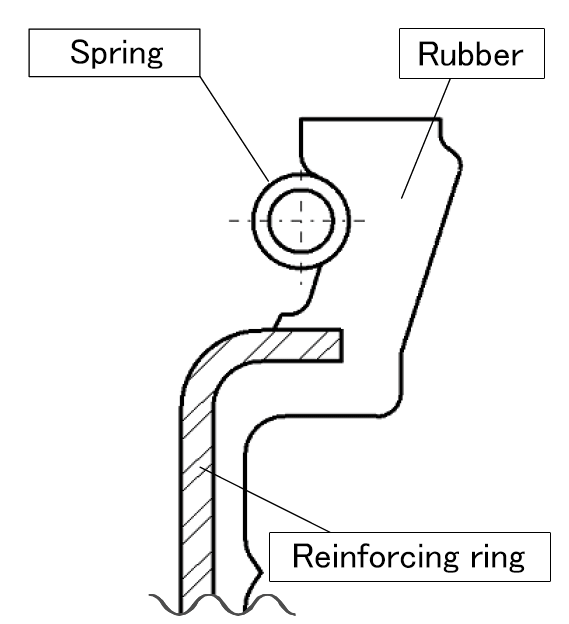 However, unlike a general reciprocating oil seal, since the sliding portion requiring lubrication is located on the outside of the seal (on the side where there is no oil), by making a small amount of oil leakage, the lubricating oil can be supplied to the sliding portion It has the ability to replenish. Our VSS has two types, rubber lip type (RV) and lip type with PTFE (FV). 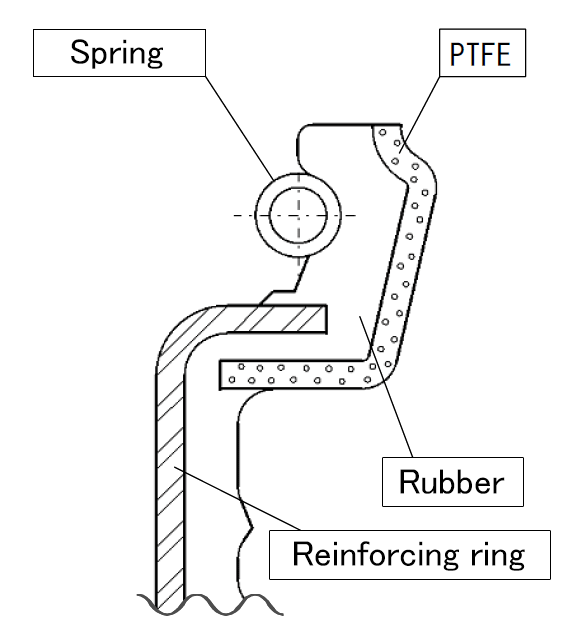 In the lip type with PTFE, very thin filler-filled PTFE was integrally molded in the lip part. The FV type is effective for a durability performance enhancement under the quantity of microleak and low friction. RV type has high stability of leak amount and easy adjustment of leak amount. We supply two kinds of such VSS to engine properties and demand quality. The basic structure of VSS is shown in Fig.-1.